Here's What You Do: Matthew McConaughey takes it seriously, and does it well! Matthew McConaughey takes it seriously, and does it well! Mathew McConaughey is a whole new guy these days. Truly committed to his craft, and winning Oscars as a result. 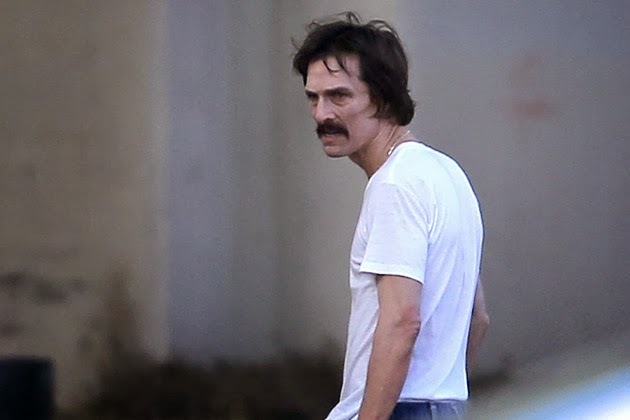 His recent role as an AIDS ravaged cowboy in Dallas Buyers Club was agreed by all as the Oscar performance of the year. And, it's a far cry from the, er, lighter roles McConaughey was deeply in a rut playing. We wondered what other actors have taken more serious roles in the past, to great acclaim. Luckily, About.com has us covered, with a top 10 list to boot. Will Ferrell, Jim Carrey, even Adam Sandler. Check it out in the read more button. And go see Dallas Buyers Club. An important film for our times.